The place I want to be. The search for your next home can be a life-changing experience. To get started on y­our journey­, search for listings in your desired community below. If you're searching for a professional to list and sell your home, or if you are a buyer and are ready to begin working with a real estate broker, you have come to the right place. Advantage Real Estate is one of the top locally-owned real estate agencies on the Oregon Coast. Our website is a complete source of Central Oregon Coast Real Estate listings with all listings, by all offices. 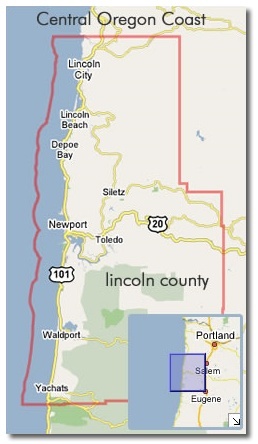 You can search the entire Lincoln County Multiple Listing Service with our Advanced MLS® Search or use our Google Map Search to find everything from a vacation beach cottage to luxury property including condominiums, land, acreage, farms, oceanfront, lakefront, bayfront and view, riverfront and also businesses for sale. Narrow your search by price range, ocean view or frontage, bedrooms, bathrooms and much more. Save valuable time in your property search by registering here (it's free). When you register, your searches can be saved, so you don't have to fill out your search criteria each time you browse the current listings. Best of all, our system will alert you by email whenever a new property (matching your search criteria) comes on the market, so you'll be the first to know. Register now and your dream property will most likely find you, before you even knew it was there. Feel free to browse through this site to explore the entire Central Oregon Coast MLS®. Our website offers direct access to the latest properties for sale. It features extensive buyer information, seller information and answers to commonly asked real estate questions. You will find everything you need to know about the Central Oregon Coast market on our website. Please use our site to learn about the communities we specialize in complete with photos , recreational activities, events and lodging. 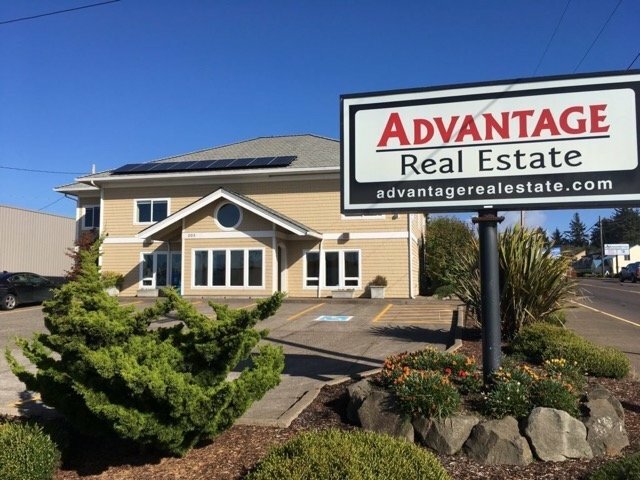 Whether you are looking in Newport, South Beach, Lincoln City, Gleneden Beach, Lincoln Beach, Salishan, Waldport, Tidewater, Toledo, Yachats, Depoe Bay, Seal Rock, Siletz or any of the outlying areas, you will find it on the Advantage Real Estate website. Thank you for visiting Advantage Real Estate's website. We take the responsibility of helping clients buy or sell Real Estate on the Central Oregon Coast very seriously. If you have questions about the areas we cover or a question about Central Oregon Coast Real Estate in general, please contact us and a broker will get back to you quickly. Remember that your Advantage Real Estate agent is just a phone call away and is always available to you, even after the close of escrow. Newport, Toledo, South Beach, Seal Rock, Bayshore, Sandpiper Village, Waldport, Yachats, Tidewater, Little Switzerland, Siletz, Yaquina bay, Logsden, Fruitvale, Chitwood, Elk City, Depoe Bay, Pacific Palasades, Schooner Creek, Gleneden Beach, Morocco, Whale Cove, Coronado Shores, Drift Creek, Kernville, Salishan, Lincoln Beach, Roads End, Nelscot, Otis, Sea Ridge, Depoe Bay, Nye Beach, Agate Beach, Forfar, Otter Rock, Little Whale Cove, DeLake, OSU Marine Science Center, NOAA, Oregon Coast Aquarium, Ocean Lake, Cutler City, D River, Taft, South Shore, North Beach, Embarcadero Resort, Lost Creek, Makai, Lakewood Hills, Beaver Creek, Cape Fowlweather, Moolack Beach, Beverly Beach, Lost Creek, Lakewood Hills, Walker Heights, Devils Lake. A special thank you for the photo slide show to Ken Gagne. Advantage Real Estate is the exclusive broker for Wilder Subdivision. Check out this Green Community at www.WilderNewport.com.